There are a lot of smart light bulbs on the market, and each one is a little different. Philips’ Hue changes colors, for example, while Belkin’s WeMo Smart LED bulbs can controlled using IFTTT recipes. But these differences are all focused around the idea that a light bulbs’ only function is—lighting up. 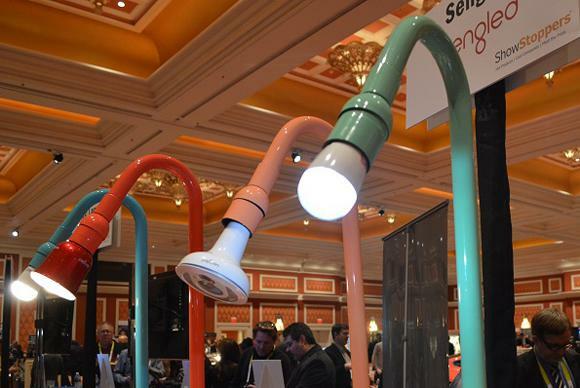 Smart-lighting company Sengled is taking a unique approach. While Sengled’s bulbs can be controlled with an app, scheduled, dimmed precisely, and more; but they deliver more than just a lighting experience: Sengled’s bulbs are multi-functional. One doubles as a speaker; another has a built-in webcam, speaker, and microphone. Pulse: The Sengled Pulse smart bulb boasts a 13-watt JBL Bluetooth speaker, and you can connect up to six satellite bulbs so you can play your music through every light in your house. The Pulse comes as a two-pack (one master and one satellite) for around $170, and each additional satellite will set you back $80. All Sengled bulbs are dimmable LEDs that will last around 15 years (assuming 3 hours of light per day). The Pulse must be paired with at least one other bulb, but Sengled also sells a Pulse Solo, which is a standalone speaker-bulb with dual 3-watt speakers. It’s priced at $60. Both the lighting and the sound/music functionality of the Pulse and Pulse Solo can be controlled through Sengled’s app. Boost: Sengled’s Boost bulb is a combination dimmable LED and a Wi-Fi range extender. Plug the Boost into any standard light socket, link it to your Wi-Fi router, and you can banish a dead spot while illuminating that dark corner of your room. According to the company, the Boost gives you up to 100 feet of additional Wi-Fi range, and each extra Boost you plug in will extend your signal further. The Boost costs $50 for a single bulb, and you can use the Sengled app to control the light functionality and to set up the Wi-Fi extender. 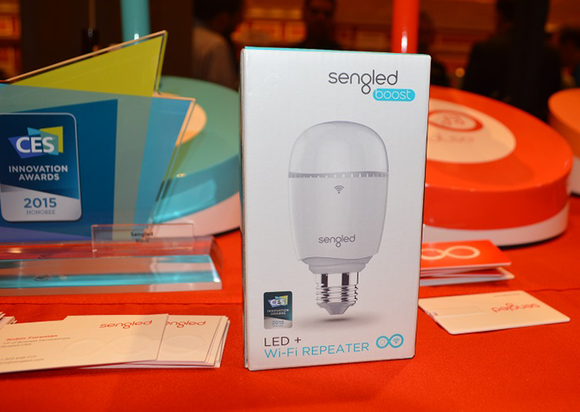 Snap: The Snap is Sengled’s newest and possibly coolest multi-functional bulb. It has a built-in webcam, motion sensor, microphone, and speaker for home security and monitoring. I like the Snap because its light bulb façade is actually an excellent way to disguise the fact that you have webcam monitoring in your home. An intruder might spot and disable a Dropcam, but they’re unlikely to be peering at your light bulbs to check for cameras. The Snap plugs into a standard socket and features motion detection, facial recognition, and geo-fencing capabilities that enable it to tell when a family member leaves the house. The Snap will ship later this year and pricing has not been announced, but I expect it will fall somewhere between that of the Boost and the Pulse.